If you’re hosting Thanksgiving dinner this year, you’ve likely already started cleaning, preparing the shopping lists and enlisting the help of your family for chores and cooking help. Once the day goes off (without a hitch!) you might notice that the foot traffic and messy food has led to unsightly stains, which is where our carpet cleaning company in Monmouth County NJ steps in to alleviate any stress this might cause. 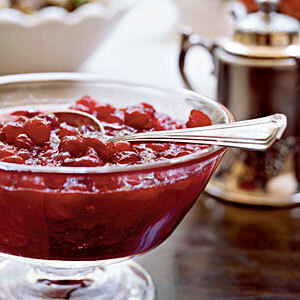 Among the favorite dishes at any Thanksgiving feast is cranberry sauce. A boldly colored dish, cranberry sauce can often be the culprit of leftover stains. To remove a cranberry sauce stain, we recommend that you apply a detergent solution to your carpet using a lightly colored damp cloth. If you remove the solution and find that the stain still remains, give a hydrogen peroxide and ammonia solution a try. If you’re serving turkey at your dinner, gravy stains are among the biggest sources for stains. If you find a gravy stain, it can be removed easily with a dishwashing detergent. Once you remove residue from the detergent, place a stack of paper towels weighted down with a heavier object to fully lift the stain. 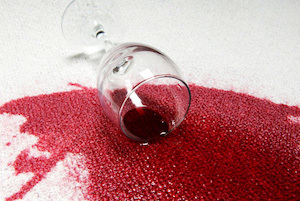 Whether you’re drinking white wine or the more stain-worthy red wine, you’ll want to be sure that you’re prepared to remove any spill that might happen. Again, you’ll want to use a dishwashing detergent to remove the stain quickly, especially if its red wine. If the stain remains after you try to clean it with dishwashing detergent, you can give a hydrogen peroxide and ammonia solution a try, blotting the stain out with a damp cloth. Once dinner has ended, many of you will reach for the coffee, which can also cause an unsightly stain if it is spilled. Homeowners can remove coffee stains with a clear dishwashing detergent and ammonia solution if the stain remains. Apply a towel to the stain with a heavy object on top to lift the stain. At Best Way Carpet and Tile Cleaning, we are proud to offer our customers the tips and tricks they need to keep their home in its best shape for years to come. If you find any spills or stains in your home after the holiday, simply give our Monmouth County NJ carpet cleaning company a call to schedule an appointment with one of our service technicians. To learn more, give us a call at (732) 671-8829. This entry was posted on Tuesday, November 24th, 2015 at 11:44 am and is filed under Uncategorized.